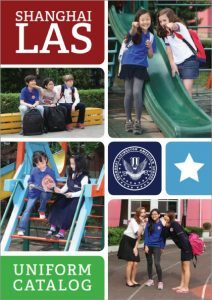 Thank you for the decision made to enroll your child into Shanghai Livingston American School. The following documentation is necessary for students applying to our school. All documents and fees must be received before a student can be considered for admission. 1. A completed and signed Application Form. Incomplete forms will not be accepted. 2. A completed Medical Form and copies of vaccination record. 3. Academic Records: (a) Kindergarten and Primary School – Official report cards for the last completed school year and the current school year, if applicable. (b) Middle School – Official report cards for the last two years and the current school year, if applicable. (c) High School – an official eighth grade report card, official transcripts for all high school grades completed (grades 9-12) and the current school year, if applicable. 4. A Recommendation Letter sealed in the envelope provided. For an elementary school student, it should be completed by a current teacher; For a middle and high school student, it should be completed by a current school administrator. 5. Two photos (passport size) with name of the student printed at back of photos. 6. Photocopy of student’s and parents’ passport and visa. 7. Payment of a non-refundable application fee of RMB 2,200. If a student is accepted or not accepted, the application fee will not be refunded because it is part of the admissions process. Once again, thank you for your kind co-operation in complying with the above to aid us in carrying out our administrative work more effectively. Address No.88 East RongHua Road, Changning Shanghai 201103, P.R.C.